With the majority of the baseball season starting on a Thursday, it creates some interesting scenarios for what in most leagues is considered Week 2 of the fantasy baseball season. Week 1 was a short three or four game week for most teams, and in most leagues, waiver wire and free agent pickups will happen this Sunday. My belief is you cannot get counting stats unless your players are playing. A rather simple notion, but you’d be surprised how many fantasy baseball players pay no attention to this simple fact. And I’m not suggesting you bench your superstar player who will only have five games for a mediocre player who has seven games, but if you have a player on your bench of the same caliber as a player in your starting lineup, you should look to exploit this opportunity to get an extra seven to 10 at bats, which could produce a couple more runs scored, RBI, stolen bases, etc. The same notion works for pitchers. If one of your pitchers has two games scheduled, his chances for wins and strikeouts is better than a pitcher with one start. But a little more goes into pitching analysis, which I’ll get into later. With this thought in mind, these teams only have five games this coming week; Chicago White Sox, Kansas City Royals, Minnesota Twins (three in Philly), Seattle Mariners, St. Louis Cardinals and Washington Nationals. I make special mention of the Twins because they play a weekend series in Philadelphia, where no DH will be used. This makes Nelson Cruz a risky play, as he might get only eight to 10 at bats instead of his usual 25 to 30. He’ll be on my bench in my Tout Wars league. As many as 37 pitchers could have two start weeks. If there are no weekends rainouts, or snow out like in Minnesota last year, here are some plays I like for the coming week. I look for pitchers that will have two home starts first, then one home and one away, and the two away starts, but only if it appears to be good matchups. Many of these pitchers could be available on your waiver wire, or free agents, so look to pick them up. 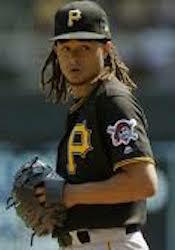 Pittsburgh’s Chris Archer has two home starts, the first against Cardinals Adam Wainwright and the second against the Reds Anthony DeScalfani. Indians pitcher Mike Clevinger’s two home starts are against the White Sox (Ivan Nova) and Blue Jays (Marcus Stroman). It should be a 15 strikeout week for Clevinger. Yankee rookie Domingo German starts at home against the Tigers (Tyson Ross) and on the road at Baltimore (David Hess). If the rookie has a chance to succeed, his first two matchups do not appear to be very tough. Tampa Bay phenom Yonny Chirinos gets a home start against Colorado (Chad Bettis) and road start against the Giants (Drew Pomeranz). After a rough spring, this could dicey, but I think he’ll do ok in these two and produce 10-plus strikeouts. The Astros experiment with Brad Peacock in their starting rotation has him at Texas (Drew Smiley) and at home against Oakland (Mike Fiers). Nationals pitcher Annibel Sanchez gets the Phillies (Zach Eflin) at home and the Mets (Steven Matz) on the road in two key NL East games. Look for him to rise to the occasion and make his offseason acquisition look like a good move. The Twins Kyle Gibson first two starts are on the road, but with nice matchups in Kansas City (Homer Bailey) and in Philadelphia (Zach Eflin). And the Red Sox continue their season opening west coast swing with games in Oakland and Arizona. David Price and Chris Sale are scheduled to start against each, both very capable of exploiting the left handed hitters on both teams. Will the Red Sox find a way to get JD Martinez in the lineup in the desert? Enjoy the first full week of baseball, and may your fantasy team(s) do well!